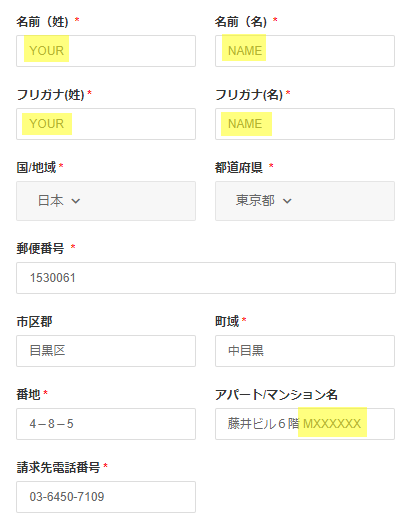 *Replace MXXXXXX with your Mailbox number. 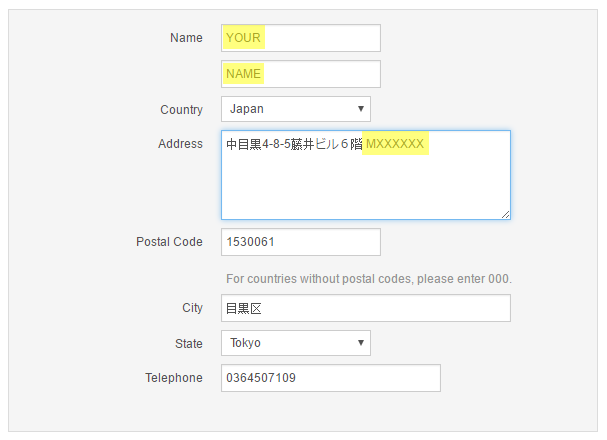 When entering your address first enter the post code and select the grey button on the right. 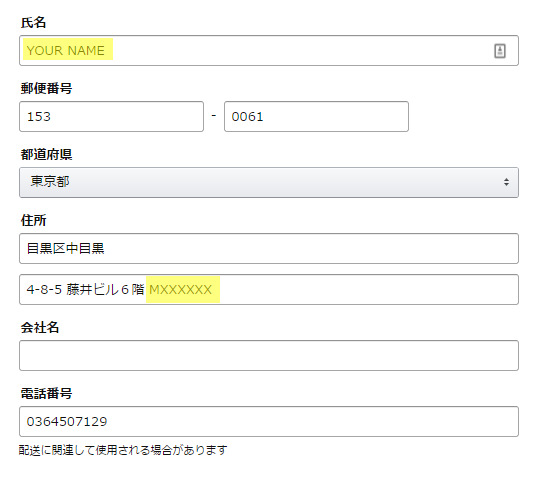 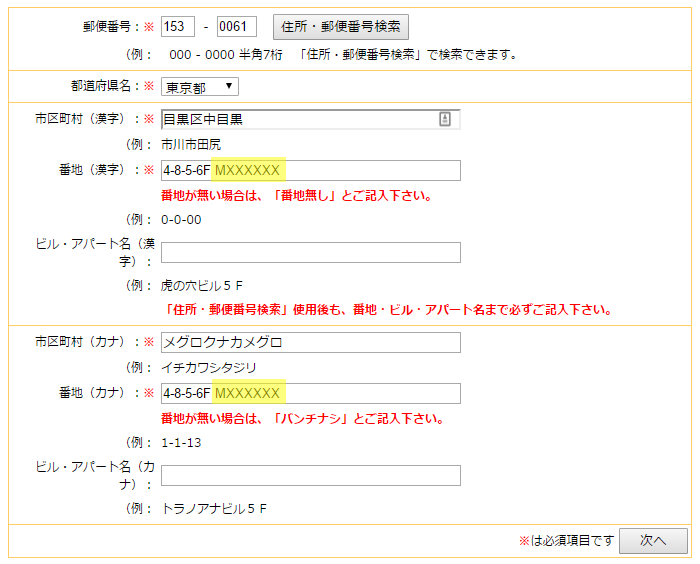 You should then get an option in the bottom left to confirm the city and state as "東京都目黒区中目黒". 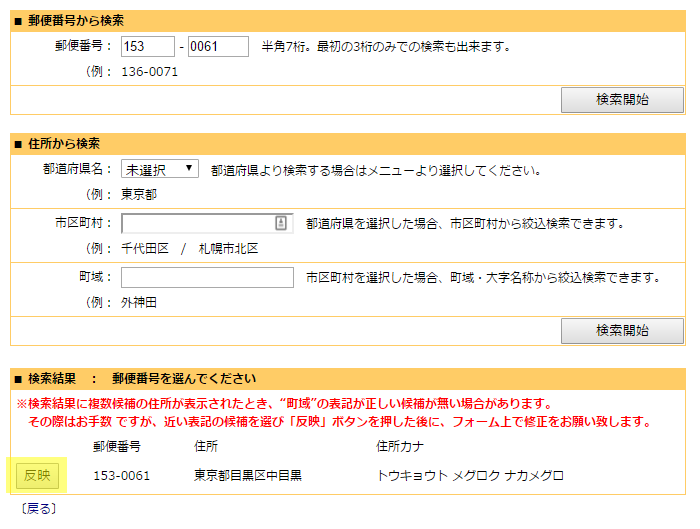 Click the grey button on the left then continue entering your address as normal.